A Season in the Life of a Vine – Closure, Plus some Breaking News! Apologies – for some reason WordPress won’t allow me to load the final photo of this blog! Boo! So, when I send the link out on social media I’ll include the photo there, for reference re this, the final part! Well, I was correct in saying that Part 16 was the penultimate entry in this blog, but I didn’t realise how long it would take me to write this, the final part of, A Season in the Life of a Vine! The small matter of my heart attack rather got in the way! As you can see, from the photo above (ahh, the last photo – sad isn’t it?! ), the vine has been pruned, ready for the 2019 vintage. If you look back on this blog, to the first part, you’ll see the vine in nearly the same state – the difference is that there is a drop of sap on the old photo. This one doesn’t have that drop – yet, but it will soon have it, as the vine once again starts its growing cycle! You can also see that the vine has been pruned in another way too. Again, comparing it now to photos on previous parts of the blog, you’ll see that some of the dead wood, that didn’t produce anything last year, has been sawn (rather than pruned) off. This is likely to allow the vine to produce more grapes for the 2019 vintage, than the the 2018 vintage. So it’s closure for the blog – except that today, following a meeting with Pepe Mendoza, yes THE Pepe Mendoza, of Bodegas Enrique Mendoza as well as his new enterprise, Pepe Mendoza Casa Agricola, confirmed for me that Giró, is in fact the same as Garnacha (see below for discussion on this). And finally (for the blog, but not for ongoing information about Pepe’s new venture, a grape’s throw or two away from ‘our’ vine – as there’ll be more on this in the Costa News and on social media), I’d like to thank readers for their interest in ‘A Season in the Life of a Vine’! I’ve enjoyed writing it and very much appreciated the comments I received! Muchismas Gracias, and I hope that our vine contributes to a good wine year, 2019! My guess is that this will be the penultimate part of this series of blogs. As you can see it’s almost two months since the last entry, and in case you are thinking that I just became lazy, or, worse still, bored with the blog – well, there’s not been a lot happening in the vineyard. Though there is still action in the plants. The sap that rose, all those months ago when I started the blog, which was the sign that another season, another vintage was on the way, is now receding, back from whence it came, in fact to the roots, almost completely at the bottom of the vine. We can’t see it, but we can be sure it’s happening. Soon the vines will be completely dormant, resting, metaphorically recharging their batteries, ready for Spring and the 2019 vintage! In the vineyards there has been some tidying and some minimal ploughing too. The green weeds that grow naturally between the vines were allowed their short lives before being ploughed into the soild where they will rot down, providing a little natural fertilizer, as well as some nitrogen. The leaves which are still clinging on manfully will eventually drop, or be cut off with their branches as the pruning starts – and it’s this notion, along with a chance meeting with an elderly chap on his daily constitutional through the vines, that inspired me to write this, next to last entry. There should be a photo here but for some reason I’m told it’s too big for the site, though it’s the same size as all the photos I’ve used here, taken with the same mobile phone camera! I¡ll try and sneak it in on another day! So, for the moment the description below will have to do – apologies! As you can see, our vine has changed it’s colour from the vibrant green it was, to the quite autumnal, fading green, amber yellow, red, light and dark brown colours that are evident now. There are some vines within this specific vineyard that are still green, though not so full of life as they were. This is because they are Moscatel, the white wine variety, and not Giró like our vine, and the rest of the plot. Errors were made when planting all those years ago. When I took the photo above, the elderly chap asked if I was looking to taste a grape or two! I assured him that I wasn’t, as, well first of all, they’d all been harvested, and secondly, they aren’t mine! He shrugged his shoulders in an avuncular way and we chatted on. I asked him when he thought the winter pruning would take place and was reassured that traditionally in these parts, as I knew, this would start to happen the day after the first frosts. This, as you may well imagine, will be when I write the final part of this blog, and is very likely to be in January. Thanks again for reading, and as always, please feel free to e-mail any comments or questions you may have! Autumn colours in Lliber and Jalon valley vineyards – I wish! Beautiful colours emerging . . .
Well, I started Part Fourteen with some Fake News – so I thought I’d risk it again! I won’t make a habit of it, though – or you-ll start doubting the accuracy of this blog, largely like I now doubt the accuracy of any news feed! Sad, isn’t it! Hmm, could develop into Rioja-esque autumnal colours? . . . . well, more likely to change to this! Botanists will be able to tell me why, but, here in the south east of Spain (Rioja is way to the north, and east, of course) we don’t get to enjoy the stunning beauty of autumn colours in the vineyards. It’s as if dealing with the searing heat of summer here, up until the harvest, is just too much for the poor leaves, which, it seems just give up the ghost, when their vines have given up their grapes, and simply whither and die. Next for our vine will be the dropping of the leaves, which, like the green layer of dazzling, green weeds between the rows of vines stimulated into growth by the recent rains, will be ploughed into the soil to act as a natural fertilizer and to add a little nitrogen to the earth. In the meantime, the sap, as seen on the first photo in this blog (please see well below), will slowly start its descent to the foot of the vine, where it will sleep until awakened in Spring 2019! And here it is – a bottle of the wine to which our Giró vine in the Llíber/Jalón vineyards contributed! Yayy! Err, well, ok – I admit it, as Fake News seems to be a buzz-phrase these days, I thought I’d get in on the act! The sharp eyed amongst you will see that it says 2017 on the label, so it’s obviously from last year’s vintage, for a start. Also knowledgeable readers (that’s you, for both, right?) will know that there will, as yet, be no red wine from this area’s 2018 vintage as the grapes that have been harvested so far will probably still be fermenting, and even if fermentation has finished for some batches, the resulting wine will certainly not yet be released. Plus, those who know the Jalón Cooperativa will know that there is absolutely no chance of being able to identify a single bottle, amongst so many thousands, that holds some of the fermented juice that came from our vine! The above is a photo of inside the Cooperativa de Jalón – where the 225 litre barrels and far larger foudres are doing their part making the finer wines offered by the co-op. There’s a wide selection of wines, with several available for tasting, and olive oils plus other local products. It’s worth a visit, for sure! Currently, between downpours, there is a race against time here – those who believed their grapes were ripe enough for the harvest and therefore picked, days, even a couple of weeks ago (see below) will be pleased that their resulting wines will not suffer any dilution from rainwater – there was none at the time! Though not easily visible, these grapes, picked the day after rainfall were wet on the outside – this rainwater will go into the press as well as the juice! However, those who waited, either hoping for an extra sugar content, or those whose grapes simply were not ripe enough, are now worried that their grapes will be collected wet, or, far worse, damaged, if the storms bring with them hailstones as well! Who’d be a grape grower?! In the pip above you can see that it has browned nicely – on this side at least. However, its underside, seen above, shows a little greenness still, indicating that the grapes on this vine were not yet fully and evenly ripe. So, a delay was necessary before they were harvested – I do so hope that they weren’t/won’t be caught out by the weather! As I said, who’d be a grape grower?! At last! Today I chatted briefly with a vineyard worker, who knows very well ‘our vineyard’ and I can now confirm that ‘our vine’ is, as thought, the Giró variety. Plus, that’s not all – my educated guess earlier on in this blog, that the vine was about 30 yrs of age, is in fact correct. So, nine years before I came to live in Spain, the vineyard I have visited so often since March this year, when I first started the blog, was planted and, following the first couple of years it spent establishing itself, our vine, the subject of the blog, has been furnishing its owner with grapes! I can also confirm that the grapes did make their way to the local Cooperativa, and that, not long now, they will be contributing to the 2018 vintage! I’ll be including some photos of the inside of Jalón Cooperativa soon, and I intend to also continue the blog, right up to the end of the ‘Season’ in question! Subtitle: Here today, gone tomorrow!
. . . and gone tomorrow! 2nd Sept. 2018! So, there you have it, readers – the grapes from our wine have been harvested! As it’s not really practical to camp out in the vineyards(!) I missed the harvesting! What a shame! However, if you read the post below, Part Eleven, you’ll note that I said that it was curious that the black grapes (Giró? We still don’t know, but I’m on it! I’m hoping to see a vineyard worker, sometime – though perhaps not until pruning down to the trunk for the winter sleep!!) in the vineyard, in fact that’s almost all of them, seemed to be more or less ready for picking; whereas the odd green grape vines (probably Moscatel!) planted here, perhaps by mistake 30+ years ago, were not yet ripe, which is unusual, as it’s normally white wine varieties that ripen first. Well it seems my comments were correct, as the Moscatel hasn’t yet been harvested. The odd Moscatel vines planted in a black grape vineyard are looking rather lonely right now – but their time will come, and soon! A steady stream of Moscatel grapes arrives at the Jalón Cooperativa. More soon – including some photos of the cooperativa, and if we are very lucky, a bottle of wine to which our grape contributed! It’s all excitement here in Jalón Valley, well if it’s not yet, it soon will be: BREAKING WINE NEWS – The 2018 Harvest is underway! The First Moscatel of the 2018 Harvest? Well, it’s certainly the first I’ve seen! I’d actually just been visiting ‘our’ vine – you’ll see evidence in a moment – when I came across this lonely, single tractor with, as you can see, a full burden of green grapes, which I’m sure will be Moscatel. Note also, that they are contained in what I guess to be 20kg capazos, containers, the like of which are used for a multitude of jobs here in Spain. This is a good sign and could mean that these grapes are destined to make better quality wine than just the run of the mill – why, well because the weight of the grapes above should not be sufficient to crush the ones below, thereby starting an early, uncontrolled fermentation. Grapes collected and dumped into lined tractors until they are full will certainly suffer this fate and will likely be used just for table wine quality. The juice in the bottom of the tractor, crushed out of the bottom layer of grapes by the pressure of the weight of those above will start to ferment of its own accord. The natural yeast present on the skins of the grape will delight in consuming the sugar withing the juice, the more so with the high temperatures that we have here – and hey, that’s fermentation, where the chemical process that transpires from this action turns the sugar into alcohol! But what of the grapes on our vine, the black, Giró variety. pictured above? Well, firstly can you see the evidence of my visit today? A touch naughty I know, but I had to taste one grape, didn’t I? And for a very good reason too. You can see where I pinched it from (as well as one of the grapes below which has been damaged), but this was for scientific reasons! I wanted to test the sweetness of the grapes and to inspect the pips within – just has thousands of winemakers in the Northern Hemisphere are doing right now or will be about to do. Yes there are little machines that reveal the sugar content of the juice when a grape is squeezed, a Refractometer, but it´s used by experienced winemakers only to confirm what their taste has already told them, when they have selected a grape from the same bunch and bitten into it. The Refractometer is a useful field assistant, but that’s all! He’ll also look at the grape seeds, the pips inside the grape. If green and very bitter, it won’t be time to harvest; if browning, less bitter it won’t be long now; and if brown, not bitter and the juice is as sweet as you like, then get those secateurs out! Curiously, in the row where our vine is located there are two Moscatel vines, amidst all the Giró. So, I thought I’d have a taste of one of those grapes too. There was a surprising difference – the Moscatel juice was as aromatic as we expect from this variety, the juice sweet, but not very very sweet, and its pips were green and quite bitter. However our Giró, was, it seemed to me, the correct sweetness and its pips were largely brown, and not bitter. I’d therefore draw the conclusion, inexperienced though I am, that the black grapes were nearer to harvest time than the white! Curious, as I said! So, who agreed with me that there was perhaps a slight change in the colour of the grapes on our vine, indicating the onset of veraison? No matter, of course, but we were right – it’s official, our vine is certainly a black grape! However, although I believe it is Giró (see Part Eight below), I’ve yet to have this confirmed – and looking out of the window right now, it’s not likely I’ll be seeing the grower today – it’s pouring! Now, whilst the rain is of course good – we need it here in parched Alicante province, but it brings with it some problems for grape growers and wine makers. The growing is done now, it’s only the sunshine that the vine needs in order to fully ripen the grapes (and change their colour to the final purple/black that we’ll see when they are harvested). The spring saw more rain that is usual, so the vines wouldn’t have been in any danger if we hadn’t had the recent sustained rain. At this stage, the rain isn’t a benefit – particularly if it arrives via violent storms! And it has! The main problem with such heavy rain (the more so it it includes hailstones) is the likelihood of damage to the grapes. I’ve just read a sad lament from a grower in La Rioja who has suffered a 50% loss in his Garnacha grapes for the same reason – that’s a whole year’s work don’t forget! The next problem with heavy rain is that, if harvested now, there would be too much water content in the fermenting wine, meaning diluted, insipid wine. Harvesting of the black grapes wouldn’t normally be starting now, so, with a change in weather and some drying wind, this shouldn’t be a problem for our vine’s vineyard. However, it’s normally around this time that the green grapes, mostly Moscatel hereabouts, for white wine, of course, would be harvested. So, growers have to make decisions – delay the harvest (or perhaps it’s better to say, wait until the normal harvest time of perhaps a decade ago, before climate change made such a difference? ), and risk disease (always more likely with wet grapes and warm temperatures) and maybe further wet weather; or harvest soon as the grapes are at their optimum ripeness, and hope that the rain holds off and some drying wind materialises! Who’s be a grape grower/wine-maker? More soon – please don’t forget that your comments and questions are most welcome! Is it just me, or do you also detect a slight change in colour from the last photos of our vine?! Perhaps not so much here in the photo, but I’m pretty sure that in the vineyard the first signs of ‘veraison’ are starting to appear! Veraison is the onset of ripening, or the gradual change in colour of the grapes and I believe that the dark green of the early weeks of berry formation is now changing to a slightly more yellow colour – the start of the grapes turning black! In the post below, Part Eight of this blog, I refer to my newfound ability to better identify the varieties in the vineyards in the Jalón/Llíber valley – it’s rather primitive I know, but, as I said below, I’m told that the small berried and shorter bunches are likely to be Giró, the indigenous red wine variety of the area. The larger berries on the far longer bunches will probably be Moscatel. And it’s these latter grapes that further help re the notion of varaison – they don’t seem to have changed colour recently! Well, they wouldn’t would they, if they are going to be the green, white wine variety, Moscatel! Well, we’ll know for sure when I write Part Ten – I’m away for a while and when I return the colours will certainly have changed – of the red wine varieties, of course! ALSO, and rather exciting – I heard just yesterday that the great, internationally renowned Spanish Wine Maker, Pepe Mendoza, of Bodegas Enrique Mendoza, has just signed a 25 year lease for an established vineyard to increase the capacity of his bodega and, no doubt, to make further innovations in his excellent portfolio of wines. And, blog readers – guess where this vineyard is situated; yep, you got it – it’s in Llíber!! More on this when I meet Pepe in October, at the aforesaid vineyard to chat about his plans! A week later than Part Seven – but little external development to observe. However, whilst I still haven’t been able to speak with a vineyard worker, busy on ‘our’ plot, I believe I am, mas o menos (more or less), able to confirm that ‘our’ vine is in fact the local, indigenous variety, *Giró! Looking at other vineyards there are vines whose grapes are rather larger than those on our vine and others in the same plot. I’d thought that this was probably because they were better developed as they would be the ones to ripen first, and therefore be harvested before ‘our’ vineyard. In other words, knowing that almost the whole of the valley is planted with Moscatel and Giró, the more developed grapes at this stage will almost certainly be the former. It seems I was correct. I spoke yesterday with a worker ploughing a nearby vineyard, who confirmed this, also adding that another way to tell was that not only are the Moscatel grapes larger at this stage, their bunches are longer too, with Giró being smaller grapes on shorter, more compact bunches. A few stops on my walk seemed to confirm this. Larger berries and longer bunches in a nearby vineyard suggest Moscatel. There’s another way to tell, also – though unless you have a very keen eye, I think you really have to be an expert. I referred, at the start of this blog, to Ampelogrophers – botanists specialising in grape vines, and it’s their trained eyes we need right now! So, if any readers whose expertise is Ampelography, can help us out with the following photo – please don’t be shy, put us out of our misery! On the left – a leaf from ‘our’ vine, believed to be Giró; on the right a leaf from a Moscatel vine – I think! Of course, in July, we’ll at least be able to tell if our vine is a black grape variety – it will change colour! *Please note: interestingly, I’ve just received the Guía de Vinos y Aceites 2018 (an impressive, bilingual [Spanish/English], impartial guide to the wines and extra virgin olive oils of Spain, categorised by grape/olive variety). Looking under Garnacha, I found Giró, listed as a synonym! I believe there are a number of bodegueros in Jalón who would dispute that assertion! Me? Well, I’m staying out of that one! P.S. I’m happy to receive comments/suggestions/questions – thank you for reading! Again it’s been some time since I last blogged! Same reasons – we are so busy at the moment, but as the school term drudges to a finish and wine tastings/judging end for the Summer break, I should be able to find time to continue with this blog, encouraged by the interest shown by those who called/texted/e-mailed me – thank you! Well, although I’ve yet to meet anyone tending the vineyard, somebody who can confirm the variety (we think it’s the local, indigenous Giró, black grape) and the vine’s age, it’s clear from the photo that progress is being made. Taken a couple of weeks ago, you can clearly see the burgeoning grapes – whatever variety they are! Yes! Here they are, the grapes that will eventually contribute to the wine made from this vineyard! Since this photo the grapes have increased a little in size and remain green, a colour which will eventually change (if, indeed they are destined to be black grapes!) during the period known as veraison, the transition period from grape growth to grape ripening. Standing back and looking at the vineyard as a whole, it’s interesting to note that, although this was the first vine to show any sign of coming back to life after the winter, the reason why it was chosen, it’s now by far the saddest looking one – that’s if we don’t count the dead one nearby! A measly three bunches, with not that many grapes per bunch, will not be making that great an impact on the wine made from this plot. Never mind though, I’m nothing if not loyal! Weather-wise it seems we are now into the heat of the summer, the growing season, after a most peculiar Spring and I wondered if our vine had ever experienced such an odd season, in its, what, 30 – 40 year life? It has certainly been the wettest Spring I can remember in the 21 years I’ve been living in Spain, with several thunderstorms, which I’m happy to say, our vine ‘weathered’ rather well, with practically no damage to the plant nor its precious grapes. More soon – thanks for reading! Please also remember that I’m happy to receive comments/suggestions/questions – interactive, that’s what I’d like this blog to continue to be! At the end of Part Five of this blog, I perhaps should have said – don’t hold your breath regarding waiting for the next one! It’s been a long time – what with presenting wine tastings/pairings, wine judging, Youtube recording (the latest here: https://youtu.be/RggtnJNtuP0), helping with the organisation of various of my lovely wife, Claire-Marie’s concerts and musical events (www.clairemarie.es), plus a dreadful attack of ‘man-flu'(! ), I’ve been rather slow in keeping up with A Season in the Life of a Vine! And a lot has happened in the meantime! Flowers – and on my birthday too! Yes, on my birthday I went for a walk to our vineyard and was delighted to see the long-awaited flowers almost in full bloom. It’s from these flowers that the grapes eventually develop, so our vine is progressing nicely! Only two later, I must have just missed the grower for I came across a nicely ploughed vineyard, with the smell of the soil still in the air. There was also a very slight vegetal smell – not new-mown grass, which has its own distinctive, and to me, very attractive, evocative fragrance (I learned my tennis on grass courts many years ago! ), though similar in that the aroma was clearly freshly cut vegetation. A glance at the rows and then the vines revealed what the grower had been up to – he’d taken off some of the leaves on various of the vines. This, I’m pretty sure is indicative of the eventual use for the grates from this vineyard. It’s likely, I think, that grapes harvested here are probably destined for the local co-operative. This is where the photo should be to support the above and the following, but my computer tells me it’s too large to load, though the same size as the above! So, I hope you’ll just believe me! Why? Well the, just over 200m above sea level, at which these vineyards are located is not sufficient altitude for the vines to have the benefit of a dramatic drop in temperature during the night. This is considered rather crucial in fine wine making in hot climate countries. So it could be that the farmer is moving some of the leaves to help ease the heat by allowing any passing breeze to refresh the vines, both in the daytime and at night. However, I doubt it. I think it’s more likely that he (I’m not being sexist here, I’ve yet to see a lady tending the vines in this area!) is making the leaf canopy smaller to allow more sunlight to affect the grapes which will soon appear. This is in fact the antithesis of what would be happening for the making of fine wine – in these days of climate change. Some winemakers, with the wherewithal, in Spain, Torres is an excellent example, having been buying land at greater altitude as well as increasing leaf-cover in their existing vineyards – to give the vines extra shade from the heat! Here in Spain, the grapes will ripen – it’s a given. There always has been enough sunshine anyway, nowadays there’s even more. The more sunshine, the more sugar in the grapes, and ultimately, the higher the levels of alcohol – just right for the bulk wine market, and generally, the local co-operative. Methinks this farmer is after quantity rather than quality! Whilst it’s not exactly been the sustained period of sunshine and warm temperatures asked for in Part Four, below – it’s not been too far off. Therefore our Giró(*we still think, but haven’t yet had this confirmed!) has developed since the photos included in Part 4. The very closely knit ‘bunch’ of nascent grapes of previous photos has opened out a little, as you may be able to see here. Each ‘grape’ has its own space now, making it clearly defined from the others, though, of course, in time they will grow, become larger and be closer again. To give some orientation I’m including this next photo – you can see that our vine is close to the the very low wall that divides the vineyard from one of several caminos (small lanes)that service the whole valley floor, wherein we find our vineyard and vine. We can also see something of the owner’s, shall we say, relaxed, attitude to vineyard management (*I’ve yet to see him to ask if we are talking Giró here, up if I’m barking up the wrong vine!) . It hasn’t been ploughed for some time, there is sparse vegetation between the rows, with dead weeds making it look unattractive and an occasional clump of such deceased weeds, taken up by the wine and rolling along between the vines, as if in a spaghetti western of years ago! Between rows on some of the vineyards there are a lot of wild grasses, weeds and some lovely flowers too. These are left deliberately – the grower wants to make use of the the insects attracted by the flowers, for they can also be insects that attack some of the vine pests, reducing (hopefully eliminating?) the use of pesticides. Later when they have served their purpose they too will be put to the plough in a final, beneficial sacrifice – they will be ploughed into the soil to become natural fertiliser, adding also, nitrogen to the soil. Still no flowers – watch this space! Each of the days I’ve checked our vine this week, it’s been rather windy. There’s been no damage to the vine, but I was unable to take a photo of the development since the post below. However, it’s been an advantage as the development is now a little more pronounced – i.e. you can see it quite clearly now, albeit still small. We can just about make out a tiny ‘bunch’ or two on the even smaller flower buds that have arrived during the last week or so! Now, having zoomed in, we can see, right in the centre of the shot, two small bunches of flower buds – destined to become bunches of grapes! The buds are tiny, the flowers won’t be much bigger either, when they arrive – and when’s that going to be? Well, firstly we’ll need a period of sustained sunshine, bringing warmer temperatures. I’m on it – so whenever our flowers do eventually deign to join us, I’ll bring them to you, so to speak! Thanks for reading – remember, please, all comments/suggestions/questions are most welcome – please e-mail me at colin@colinharknessonwine.com. Having returned from my travels (IWSC judging in Guildford; family holiday in Paris) I was up early this morning and in the vineyards of Jalón – on a mission! It’s about time we knew the variety of ‘our’ chosen vine! I suspected that work would be done on the vines as the mists cleared this grey and overcast day, I was right, and wrong! In the vineyard next to ‘our’ vine’s home a lonely worker was doing some (late?) pruning – with electric secateurs, no less! His vines are old Moscatel, which he uses mostly for eating, though he does make some wine for home consumption – no doubt as his family have done for generations! And yes, he did know the variety of our vine – Giró, seguro (for sure); though ‘our’ vineyard was deserted! Well, that’s good enough for me, although I will confirm it whenever I see the vineyard being worked. So, what is Giró? Well you can read all about it in my Costa News article to be published on Friday 2oth April, and online too www.costa-news.com click Cork Talk. If you look clearly at the first of the above photos, both of which were taken at the same time, you’ll see that ‘our’ vine (in the foreground) has been joined by a host of others, now well into leaf. In fact, ‘our’ vine, is looking a little sorry for itself when compared to some of the others, despite it being the first to show! But hey, there’s loyalty involved here – so I aint changing! At then end of Part One of this blog (below) I alluded to the naming of the vine – don’t worry, I don’t think of it as a pet! I love wine, but not that much! Perhaps better to say, identifying, the vine, rather than naming it! As I mentioned below I’m not an ampelographer and couldn’t, therefore, identify the vine by looking at its leaves. That’s actually quite a skill, and one that I don’t own. So, I’ll make an educated (well, fairly educated) guess as to the identity this particular vine, from the many Spanish vine varieties grown on the Iberian peninsular. As you can see our vine’s first leaves are starting to grow. This photo was taken about two weeks after the first, pictured below. My first thought was Tempranillo. It may continue to be my belief, but it may not! Let me explain – Tempranillo is known as an early ripener. In the large expanse of vineyards in Jalón V alley, this along with its neighbours in the same vineyard was the first to come into leaf. My guess is that the first vines to leaf, will also be the first to ripen during the season. So, in this case Tempranillo seems like a decent guess. However, guess is what it has to remain. And, there are a number of factors conspiring against it too. Historically (vines have been grown here for hundreds of years) Tempranillo is not a common variety around these parts. Girò is preferred – a variety which has its own fascinating history. That said, there are growers in the valley and further inland to Parcent and beyond who have been experimenting over at least a couple decades, planting different varieties to see how they fair in these soils. Perhaps this vineyard, which, for me, has the look of being between 20 – 30 yrs old, was planted with Tempranillo by a forward thinking grower, perhaps with an eye on the prices that Rioja was achieving, with with Tempranillo being the darling of those vineyards! Here our, as yet anonymous, vine is seen in situ – on a beautiful, though chilly sunny morning before Easter. It could be Girò. Covering lots of vineyards in Sardinia, Girò is well used to parching temperatures and isn’t too fussed about altitude. However, it’s considered to be a mid to late ripener – there at least. Garnacha? Well, this Spanish variety, known in France as Grenache, is grown here. In fact there are those who think that Girò is really Grenache – all part of the fascinating story referred to above, and which will be revealed in Cork Talk in the Costa News, soon. But Garnacha is a late ripener, so, as this vine is one of the first to break into leaf around here, I doubt it. Or, perhaps it’s not even a black grape variety! Certainly the white Moscatel grapes grown in the Jalón valley ripen early, and there’s a large production of Moscatel wines, here, many sweet wines, but not all. So, a conundrum, until I come across a vineyard worker who’ll be able to advise me. Watch this space! NB There will be a two week or so gap now before Part Three, when we’ll be able to see how our vine has developed further as well as what’s happening in the vineyard as a whole, and those surrounding it. A Season in the Life of a Vine! With a novel about 60% completed (and an interested Literary Agent waiting for further chapters – following the initial five, with synopsis); plus three nascent short stories, one of which may move into the Historical Novel genre, depending on the success of the nearly(?) completed novel above, and my therefore having the time, and the confidence to elevate it thus; and, of course, my various on-going projects in wine presentations, writing, tourism etc, this may not seem like the most auspicious time to start a lengthy blog! And lengthy it’s likely to be, as you’ll see from the title – I’m going to be talking about the life of a single vine in a vineyard, in fact in the basin of Jalón Valley, watching it’s progress over the whole of the growing season, from the rising of the sap at the start of Spring 2018 (though you wouldn’t know it, as it’s still pretty cold, with uncharacteristic rain and wind right now), to the grape harvest, when the vine’s work will have been done! So, lengthy yes, but don’t worry, it will be served up in bite-sized morsels – so as to continue to engage with the reader. If you like wine in general, and in particular, Spanish wine; if you are also interested in finding out what goes on before the wine ends up in your glass; if you know and appreciate the fact that the most important part of the wine-maker’s art is that which he oversees in the vineyard; and if you are interested in nature, then this blog is for you! Now, I’m no ampelographer (a botanist specialising in grape vines) whose skills in ampelography enable him/her to identify a grape variety by the study of its leaves, and even if I were, it’s unlikely that I would be able to do so until the leaves are more mature than this, my first photo of the vine in question, which follows another photo of a tiny drop of sap emerging from a nearby vine and about to drop to the soil. If you look carefully, you’ll see a tiny drop, not perfectly in focus. This is the sap that nature has woken from its winter-long slumber, deep in the roots of the vine, encouraging it to rise. It’s the first sign of new life! Allow me to introduce you to the one vine whose 2018 season I’m going to be following, from this, its first sign of leaf-break, through to its eventual harvest! Again, look carefully and you’ll see the bud of a leaf just about to reveal itself! Well, I say ‘introduce’ in the caption below the photo, but in fact we are not yet on first name terms! More on this later – told you the entries on this blog, ‘A Season in the Life of a Vine’ would be bite-sized! Day 2 Judging at the International Wine & Spirits Competition 2014. I was delighted today to see that there were so many Vino de la Tierra (VdlT) wines entered in this year’s competition. No longer the wannabe DOs of yesteryear these areas of Spanish Wine Production now have nothing to prove! If you look in any Spanish Wine books of perhaps 15 years ago, certainly 20 yrs ago – you’ll see that VdlT was considered to be a class under the esteemed Denominaciónes de Origen. Quite good, but not quite good enough to make it to the top echelon! In the pioneering intervening years this has all changed. There are some bodegas in recognised DOs, and indeed some DOs, who stubbornly still believe that only Denominaciónes de Origen make the real top wines of Spain they would do well to look at the French wine model of some years ago. This head-in-the-sand mentality lost the French considerable market-share when New World wines started infiltrating Europe! The Spanish DOs had better not make the same mistake. It is true, of course, that there are many excellent DO wines in Spain – but there is also poor quality, sometimes all the way down to dross! Wines which are legally correct in portraying the epithet ‘DO etc’ on their labels, as they adhere to all the rules (probably! ), but which are really not at all representative of the quality that is required. Consumers are slowly catching on, led, it has to be said, by the extranjeros, the foreigners living in Spain, like the British, Germans, Scandinavians etc who are not bound by machismo ethics or loyalty – we just want to drink good quality wines! Often the extranjeros are also more clued up re wine appreciation as well, as there are many column inches (centimeters? ), radio and TV programmes that include a wine element in their home countries. Vino de la Tierra wines are filling that gap and I’m pleased to see that some of these wines will be winning highly prized IWSC medals in this year’s competition, which will ignite sales and spur on others in VdlT areas to continue to improve their wine-making skills and therefore the finished product, and to enter next year’s competition. And tomorrow at the IWSC? Will the DOs fight back? Let’s see! Day 1 of an on-going, almost live(! ), blog about the INTERNATIONAL WINE & SPIRITS COMPETITION’S judging of Spanish Wines, April 2015. 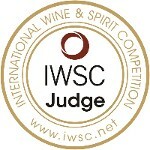 The International Wine & Spirits Competition is the oldest international wine competition in the World. It’s also one of the three most prestigious. So, it’s an honour to be a part of the judging panel. With me today were two Masters of Wine, one South African Cape Wine Master and two highly qualified Wine Tasters and Educators from Hong Kong! As devout Methodists I guess my parents would have been somewhat ambivalent about my being in such august company! I can’t reveal any scores awarded or any comments made as we’ve all complied with the rule of secrecy and anyway, none of us knows which wines we tasted. All wines are asting served in a pre-poured, numbered tasting glass with the only information being their rough area of production and the predominate grape varieties used. It’s serious stuff, as medals awarded in this competition sell wines, worldwide, so there is a duty of care to which all judges subscribe. However, I can tell you that I was pleased with the standard and variety of wines tasted today. I was pleased also to see that each year wine producing areas previously shy of entering the IWSC are now prepared to do so. This can also mean that grape varieties rarely tasted and often not seen in the general market place can feel the warmth of the spotlight for once. And of course the medal winners in this group will ensure that not only their wines will become well known but also the varieties with which they are made! I was also delighted to share some quality wine time with other professionals. We all learn from each other and whilst, professionally serious of course, there is also a great sense of enjoyment and fun. We all share a common passion and we all have stories to tell. So – talking in judicial terms, my verdict on this, the first day, was that it was both successful and hugely enjoyable. Bring on Day two! Yes, there was a time, late 70s and through the 80s, when UK wine consumers were tired of drinking wines where you couldn’t see the fruit for the trees. Oak first, fruit later (if you were lucky) seemed to be the mantra of the times, and consumers reacted against it. Wine Writers started referring to the ABC Club, the Anything But Chardonnay/Cabernet Club, which was coined in response to there being far too many wines made with these two varieties and whose styles were far too oaked. The plea went out – please give us wines whose oak influence doesn’t mask the fruit that we all crave. Eventually, winemakers listened and a period of equilibrium prevailed. However, it is still true to say that many of us like to have some oak in our wines, white, red and even occasionally rosé. So, winemakers perhaps felt stuck between a rock and a hard place – damned if I do, damned if I don’t. Judicial oaking was considered key, and still is. When wine is crafted with care, ensuring that the fruit is to the fore, but with back-up, in terms of integrated oak-driven aromas and flavours, as well as the depth, complexity and perhaps intensity that oak can bring to the final product most people will be happy. Well, most, but maybe not everybody and certainly not the over-stretched wineries for whom the world’s financial crisis is still a constant worry. Oak barrels cost a lot of money! It’s well known in the wine world that an oak influence can be applied to wine, without the need to age the wine in oak barrels. I once wrote and article, several years ago, entitled: ‘Planks in Tanks’. Yes, you’ve guessed it – here, temperature controlled stainless steel fermentation tanks are used to make the wine, but before fermentation takes place staves of oak are added to the tank. 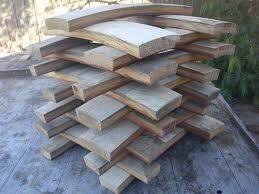 Oak planks ready for the pot! The fermenting juice is constantly moved so that all the wine is in contact with the wood as well as tiny oxygen bubbles being pumped into the tank throughout the whole process. Bingo – an instantly oak aged wine! It’s the same with oak chips/cuttings, placed either directly into the tank, as above, or in huge ‘teabags’. Oak Chips fermenting in Chardonnay! But is this actually cheating? The wine has those fruit aromas blended nicely with the oak characteristics of aromas and flavours and, of course, the wine is on the market far more quickly where it is sold at a more consumer-friendly price! The men in white coats have also been brought in. During the last few years experiments have been going on, which have resulted in a new mini-industry – the production of essence of oak liquids. I kid you not – now, grapes happily growing and maturing in the vineyards before harvest are being sprayed with these liquids. It’s almost DIY oaking! Soon the grapes are picked, brought to the presses where the resultant juice already has an oak influence – before it even goes into the fermentation tanks! And now, just in the last couple of days is has been revealed that our friends in white have been meddling again! 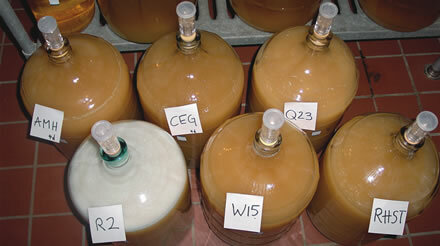 Wine is made with the addition of yeast. 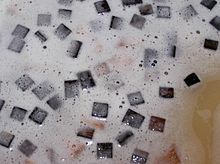 Thess can be cultivated yeasts, those which have been cultured and manipulated in the labs; or those which are often referred to as ‘wild yeasts’, those which are found naturally in the vineyards and indeed on the very grapes themselves. Yeasts, it has been discovered, are not detrimentally affected by the injection of, yes you know what’s coming – oak extract! Does it matter? The above ‘cheating/scientific research’ is consumer led, we like oak in our wines and these methods bring the per bottle price down. All comments, via this website and/or by e-mail to colin@colinharknessonwine.com will be gratefully received. USA Home of Free Enterprise . .
. . . and Defender of Freedoms? Well, maybe not, when it comes to wine buying! This week I’ve enjoyed the company of six Americans who are visiting Javea, Alicante, Spain. One, Paula, had contacted me asking if I might be able to take them on a bodega visit or two. My pleasure, said I! I in turn contacted my friends at Bodegas Los Frailes, Fontanars, and at Bodegas Celler del Roure, Moixent who make their super wines in DO Valencia. These two bodegas are part of the Terres dels Alforins Group about whom I’ve written for the Costa News Group (www.costa.news.com). The Group is dedictated to making the best wines that Valencia can provide with a laudable emphasis on traditional methods and indigenous grape varieties. Needless to say owners, respectively, Miguel and Pablo, were happy to give us a tour of their bodegas, and explanation of the group’s philosophy as well as their own individual philosophies and their different ways of going about their wine making. Plus, of course, we had the opportunity to taste some of the wines and, although there was no pressure to do so, to buy wines at the end of each visit. Everyone’s a winner – Paula and the gang have a really interesting day out, visiting, for example, a finca (farmhouse and land) that had been confiscated from the Jesuit Monks who’d built it by the King of Spain in the 18th Century and then sold at auction, in fact in 1771, to Miguel’s ancestors! A wonderful story and a delight for the Amercians whose history, in their own words, can’t equal that of Europe! We also saw at Bodegas Celler Roure an ancient underground wine cellar which had been brought back to life, still with its original terracotta ‘tinajas’ which are now used by Pablo to make and indeed age some of his wines. Fantastic! And the wines? Well, need I say more than the fact that Paula and the gang were keen to buy cases of them and to have them shipped back to the USA? Err, well, I do need to say more – my new-found friends were frustrated, though through no fault of the bodegas concerned. Essentially, it isn’t really possible to buy at source and then have wines shipped back to your home in the Sates! Why, well – who knows? Seems to me it’s a case of stuff your civil liberties we are going to protect the American wine business (as well as your morals, with a worrying prohibition echo?). It seems that international wines in the USA can only be bought from recognised, certificated, all dues-paid, importers based in the USA. And it gets worse – as I understand it, it’s even difficult to buy from one State to have delivered into another! Come on guys – what’s all this about, huh? What can be finer than touring a lovely bucolic winery, with the owner and winemaker, tasting the wine together and then shipping some Stateside? Just to round off my lengthy blog on DO Bullas and their annual Wine Competition where I had the honour of being appointed one of the judges, some reflections on, well, on it all! As I’ve said – there are some really good wines emanating from this SE Spain area of production, which, until recently, seems to have been content to be in the shadow of more famous DOs. And I don’t just mean the likes of DOCa Rioja, DO Ribera del Duero, DO Penedés et al. Using the same grape variety (Monastrell), a similar climate and similar soils too, the DOs, also located inland from the Meditteranean, but a little to the North, are achieving greater success and world-wide acknowledgement. DOs Alicante, Yecla and Jumilla are appreciated in markets ranging from the USA, to Europe and Asia. Indeed, DO Yecla exports a stunning 95+% of its wines and is therefore firmly established in the wider wine-world. DO Bullas has some catching up to do. But how? Clearly there has to be greater investment and of course this will not come easily as Spain, no matter what the politicians tell us, is still in a very difficult financial situation. DO Bullas producers are aware that inroads have to be made into marketing, in Spain and abroad. I was talking at lunch with one producer who was lamenting the difficulty of increasing sales in Spain and who was just starting to feel his way into Europe. He does sell a little in Germany and is hoping to enter Poland soon. But he’s basically a one-man-band without the funds, at present, to create a marketing/export department. His wines are good, medal winners in the competition, but he needs the investment. There are already some who are pushing the boundaries. Bodegas del Rosario winner of several medals at the competition, has a dynamic Export Dept. and whilst helping their own balance sheet they are also preparing the way for others in DO Bullas. The wine making talent is there already. The outstanding wines of the competition, those from Bodega Monastrell (yep, they’ve nicked the name!) are awarded late 80s and early 90s in the Peñin Guide, and thus ‘measured’ against all other producing areas of Spain, therefore beating and equaling many Rioja wines, for example. Also, Avila wines, which, curiously, were not entered in the competition (more’s the pity) are also of this very high standard. The night before the competition I tasted both bodegas’ wines and found it difficult to choose between them. Investment and some thinking out of the box is urgently required. It’s clear that the Consejo Regulador is aware of this. The cost of the competition: the hotel and travel expenses of the judges, and indeed the quality of the judges (leaving myself out of this, of course), the coach to take many to the Gala Dinner etc is their investment. Will be set against the hopeful benefits that we judges might bring. The writers, like myself, will do our bit recognizing the quality of the wines and reporting on them. But bodegas also need to bite the financial bullet, with banks offering favourable terms, if the area is to achieve its full potential. I hope they do. Bullas has always been first and foremost a red wine producing area. It’s here, particularly, where the best wines are to be found – the reds. Also, of course, the native Monastrell variety and the ubiquitous Garnacha are used to make some cracking Rosado wines too. I tasted several, all of a high standard. However, though I’m not a winemaker nor an expert in micro-climates and soils, I can nevertheless see that the nearby DOs already mentioned are making very good white wines. I’m sure that with careful analysis and experimentation and using the permitted, rich Chardonnay and aromatic Sauvignon Blanc and Moscatel varieties as well as Macabeo, Airén and Malvasía, interesting, flavoursome and fragrant white wines can also be made. Such white wines would add to the DO Bullas portfolio and give Spanish and international buyers the one-stop shop opportunity that so many other DOs enjoy. Again, investment and maybe some maverick winemakers employing modern viticultural methods, are needed. I’d also like to see the DO Bullas producers stop using the name Mourvedre on their labels, perhaps phasing it out as some may be doing by writing Monastrell/Mourvedre with a brief explanation that the latter is the French name for the Spanish variety, Monastrell. In nearby DO Yecla, for example, the bodegas champion the correct name with ambassadors taking top Monastrell wines all over the world and calling them exactly that! Such bodegas have already done the hard work from which DO Bullas can take advantage. I’m Monastrell and proud, say it loud! I really hope that I am asked to return next year for this will also afford me the opportunity to see how this, starting to be ‘born again’ DO Bullas, has progressed in a year. I can only see improvement on an already impressive foundation – with investment this improvement will be rapid, reaching greater heights! I hesitate to add (but this has never stopped me before!) that, at the risk of seeming to have a hidden agenda, I would also advice that a number of the top bodegas in DO Bullas consider entering this year’s International Wine & Spirits Competition. Medals won in this, the oldest international wine competition in the world and one of the most prestigious, will have great advantages for the bodegas which wine them, but also for the DO as a whole. The wine world takes note of IWSC medal winners, and of their areas of production. Thus the spotlight would be on DO Bullas and this would increase the possibility of the much needed investment! “I’ll Be There” performed by Dolce Divas. Dolce Divas (Click to visit their website)specialise in Classical Music and Opera Favourites, giving recitals in concert halls and also providing Wedding Music, Romantic Chill-Out and Cocktail-Bar music for hotels and restaurants. Very informative Colin – keep up the good work! Found it fascinating and though neither Brian nor I have–thank God–experienced replacements—a friend of mine–Serena– we were in the WRNS together had 2 knee and 2 hip replacements in 3 years at the wonderful St. John and St Elizabeth hospital in St. John,s Wood London and like you is stoic !!!! but unlike you, is female, so more Resistant to pain but has no prostate cancer !!! She likewise persisted well with physio.